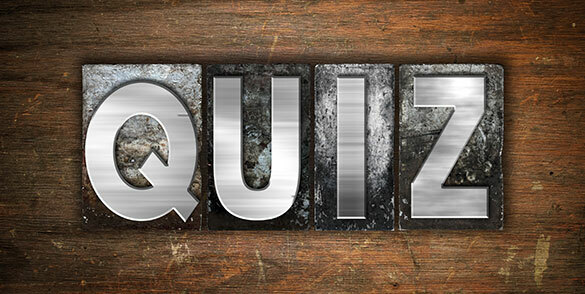 How sharp is your scrap metal knowledge? Even the most seasoned scrappers can be stumped! In the spirit of school starting back up, we thought it would be fun to test your scrap know-how. Maybe you already know it all, or maybe you will learn something new! True or False: Bronze is worth more than brass and also has a more reddish color because it has a higher copper content. Telling the difference between bronze and brass can be tricky. The main thing to recognize is the color difference. Brass tends to be more yellow in color and more commonly found in your scrap search. Brass is also lighter than bronze, so you can tell by how much they weigh. What five scrap items are not accepted at the TT&E scrap yard? Answer: If you said 1-Kegs, 2-TV/Monitors, 3-Sealed Containers, 4-Hazardous Waste/PCBs and 5-Appliances with CFCs, you would be correct! We accept a wide range of scrap metals and parts at our recycling facility, but unfortunately do not accept the above list of items. If you ever have a question about what is accepted and not accepted, you can visit our website Metals page or give us a call at (919) 772-9190. What common element found in A/C units and cars must be removed prior to being recycled? Freon is a widely used refrigerant in gas or liquid form that is found in many appliances from freezers to scrap junk cars. It is very toxic and harmful to the environment and must be properly disposed of prior to demolishing the container it resides in. All items containing Freon must be properly reclaimed. Do not attempt to remove it yourself. Multiple Choice: What is the correct spelling of this noncorrosive metal? Answer: Both a and b are correct! Are ferrous metals worth more than non-ferrous metals? Answer: No. Non-ferrous scrap metals are far more common and are typically worth more than ferrous metals. Well, that was the shortest quiz ever! We just wanted to have some fun and provide some helpful information and tips, especially if you are new to scrap metal recycling, or just as a refresher. Our website is full of additional information that you can use to brush up on your knowledge of scrap metal recycling guidelines, metal classifications and a list of electronic items including what is accepted at our facility. We are Raleigh’s fast, friendly metal recycler that pays fair prices for your scrap!